Thank you to author Jeff Alt for providing me with a product in exchange for my honest review. All thoughts and opinions expressed are my own. This book was sent to us for my oldest daughter, who is 11 years old, to read. She was so excited to get it. She had just returned from a week stay at a camp at the Indiana National Dunes Nature Camp, where she had been hiking and staying the night outdoors. So the summary on the back of the book instantly caught her attention! 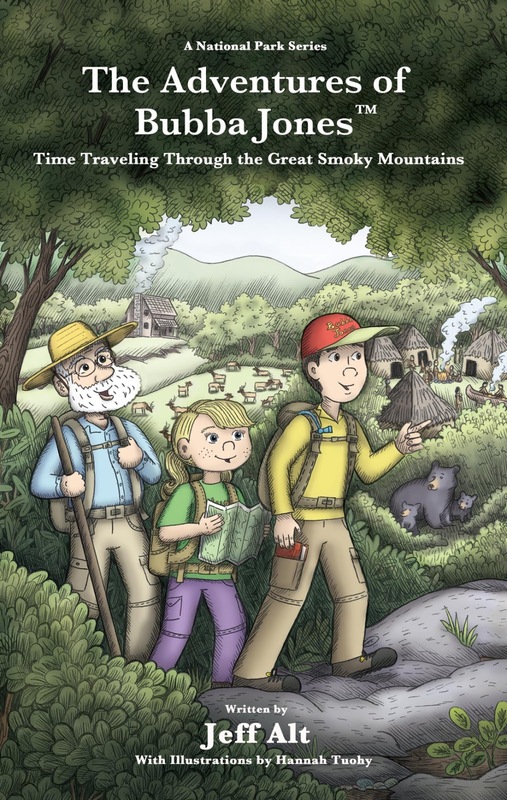 The Adventures of Bubba Jones:Time Traveling Through the Great Smokey Mountains is filled with historical, ecological, and scientific facts about the park and it's inhabitants. 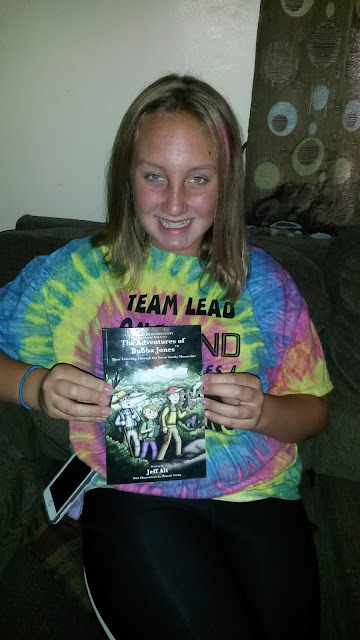 From the second she opened the book, and read about Bubba Jones and his family being "greeted" by a black bear as they entered The Smoky Mountains, she was hooked! When we went to drop her off at camp, there was a deer and it's baby in the woods as we pulled in. She thought that was amazing! She couldn't imagine a black bear greeting her!!! This book is written for 8-14 year olds in grades 3-8. He sure knows how to tell a story! 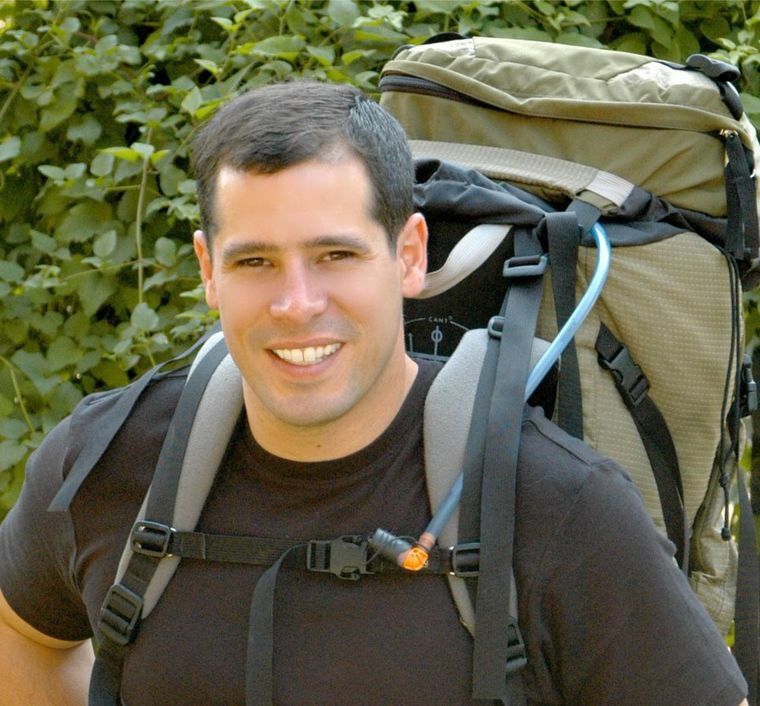 From traveling back 400 million years, to talking about "thru-hikers", to traveling through time... this book had it all! The part about the Thru-Hikers mesmerized my daughter. Hiking for thousands of miles, through states was something she never thought about. For her, the 7 hour hike at the Dunes seemed like a "really long hike!" To trying to decipher an old code that his Grandpa could never crack... this book had it all for her. 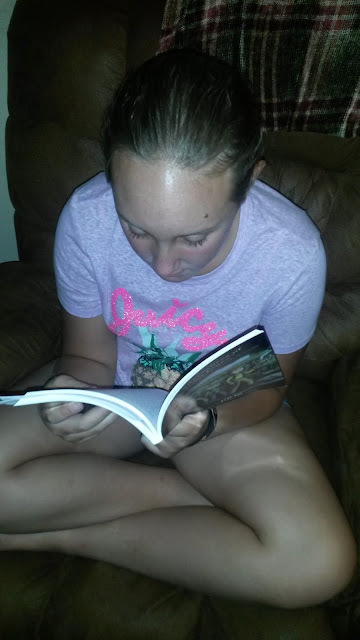 She really enjoyed reading it! The softcover edition is 177 pages and retails for $9.99. The first chapter is available online at http://www.bubbajones.com/chapter-1-.html . Check it out!!! This adventure is hitting the shelves August 11th. You can pre-order now on Amazon, Barnes and Noble, and Indie Bound. Special thanks to the Bubba Jones team for allowing us to share our thoughts on this amazing story! We hope you'll check it out!